10 pictures with 10 clue cards for initial L words. 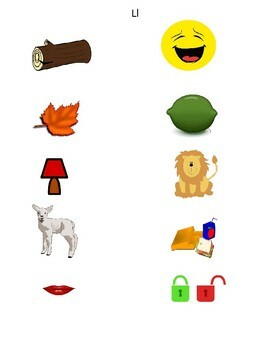 Words included are: Log, Laugh, Leaf, Lime, Lamp, Lion, Lamb, Lunch, Lip and Lock. 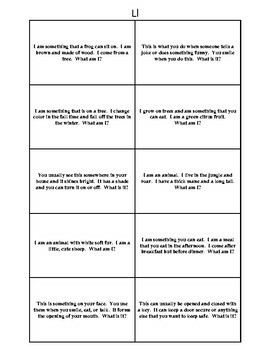 Cut out clue cards for student or provider to read. Student guesses the target word and practices it. This is better than boring articulation drills! Make it fun! ---OR have the student guess WITHOUT the pictures (to make it harder) and they can see the pic after they've guessed it.